Have you heard of the benefits of bee venom? Well Heaven Skincare by Deborah Mitchell has formulated a range of organic products and treatments which provide a unique approach in caring for your skin. 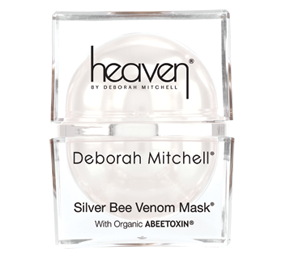 I was recently sent the Heaven Silver Bee Venom Mask to try out on my skin. When the product arrived it was beautifully packaged in a white box with a black satin ribbon. The container for the mask is like a large square ice cube with a orb floating in the centre and it looks really attractive and opulent. The 30ml size retails at £55 but you can purchase larger sizes of the product also. The Silver Bee Venom Mask contains essential oils organic rose and organic lavender, the herb organic marshmallow, organic shea butter, vitamin E and beta-carotene, bee venom, manuka honey and abeetoxin r. The mask can be applied before bed or during the day for 10 to 20 minutes and then washed off with warm water, or it can be used as a moisturiser (just don’t use as much as you would for the mask effect). Bee venom controls facial muscles to lift, tighten and firm, whilst working on those dreaded frown lines and wrinkles. It would be so good to try out some of Deborah Mitchell’s products and see if they work in harmony with this mask. It gets a great thumbs up from me and I would love to continue using it as part of my skincare regime. I need something like this, my skin is so bad lately. This sounds like such an interesting product and something I'd like to try in future. It's great to see how experimental brands are getting, I'm always looking for innovative products. 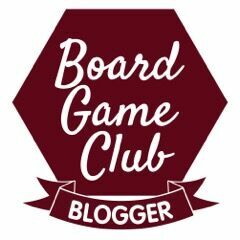 I met them at my first blogging event last year and she is really nice! I haven't used the product yet as I am saving them for when I need it! This sounds really interesting. I like to use natural/organic where possible so this definitely would be good for me. This sounds like a wonderful product I would love to give it a go myself.